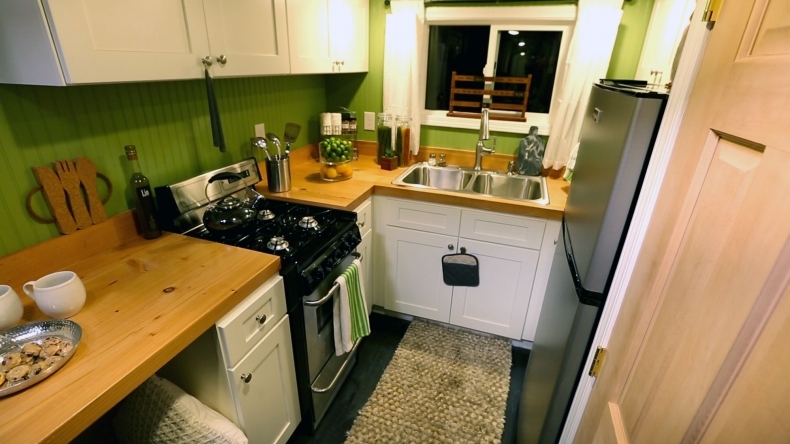 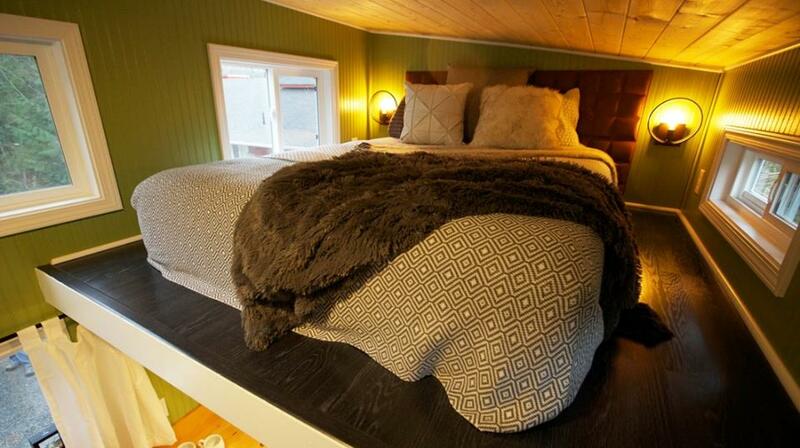 What better way to create an intimate space than a 220 sq ft home? 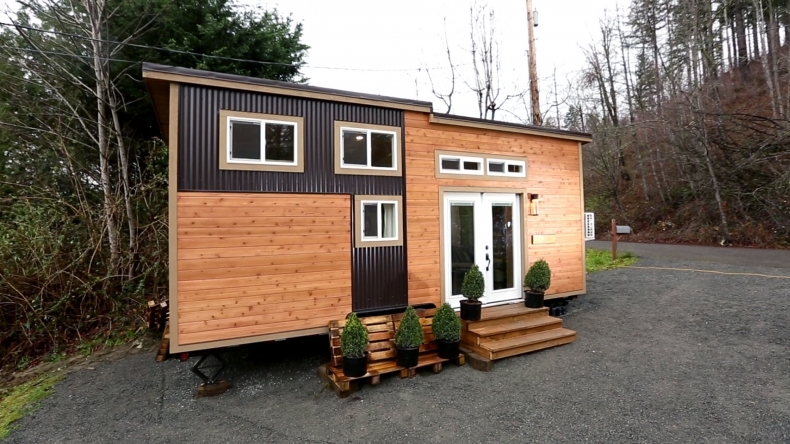 Named the "Romantic Abode", this tiny house was designed for a couple on FYI’s hit show, Tiny House Nation. 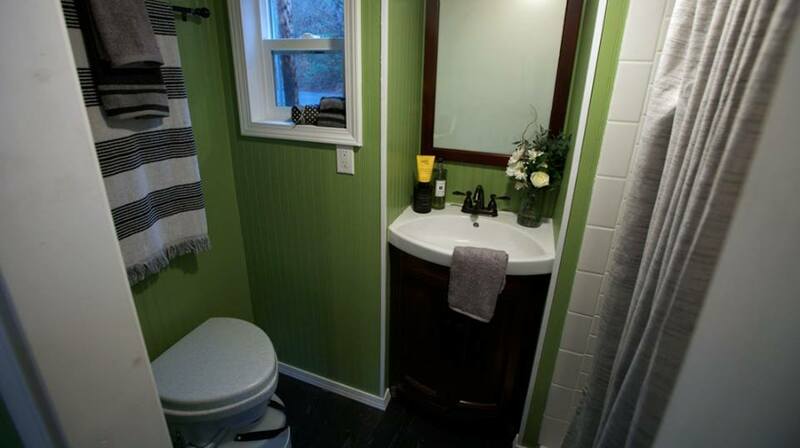 The home features a spacious kitchen with expandable counter space, a living room that transforms into study space, a loft bedroom, and a bathroom. 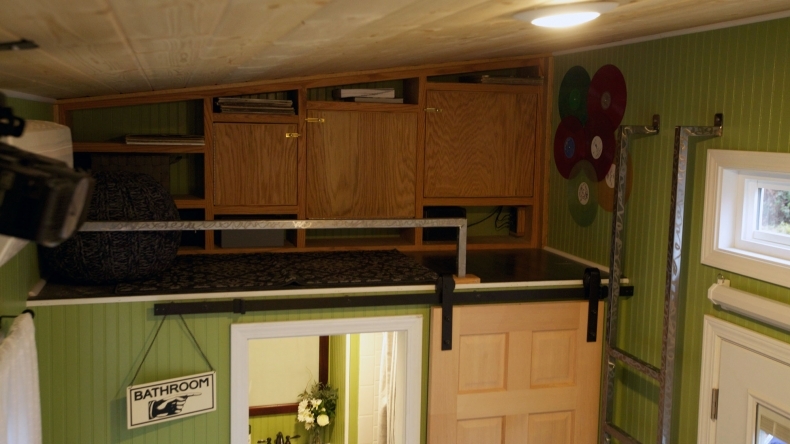 There’s also a small second loft the home’s owners use to store their record player and record collection. 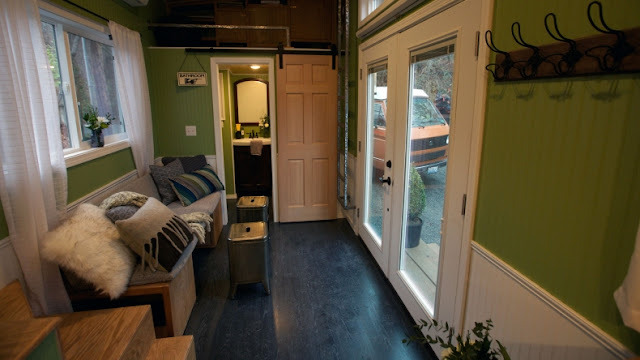 Follow Tiny House Town on Facebook for regular tiny house updates here!